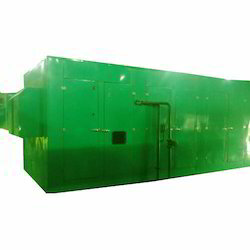 Manufacturer & Supplier of Generator Enclosure for Textile Industry. Our product range also comprises of Acoustic Enclosures, Sound Proof Enclosures and Sound Proof Generator Room. We are putting forth altogether Generator Enclosure for Textile Industry. These enclosures are made by making utilization preeminent quality iron and other essential material and front line innovation. The offered items are stooped while keeping personality predominating business sector requests to meet desires of the customers. Moreover, these enclosures are accessible with us in distinctive sizes to meet expanded requests of the customers. Looking for Generator Enclosure for Textile Industry ?